Sources familiar with the legislation said any public employee who carries a weapon won't be able to display religious symbols. This includes not only police officers, but courthouse constables, bodyguards, prison guards and wildlife officers. The ban also covers judges and Crown prosecutors. Radio-Canada is reporting the bill will contain a grandfather clause to allow an estimated 500 public sector workers to keep wearing their religious symbols. They were opposed by MNAs from Quebec City and rural Quebec. The bill is expected to be tabled on Thursday. In its current version, the regulations on religious clothing go well beyond the recommendations contained*in the Bouchard-Taylor*report on reasonable accommodation. That report, based on a public inquiry held between 2007 and 2008, recommended preventing public officials who wield coercive power from wearing signs of their religious affiliation. It did not recommend that ban include teachers or principals. The CAQ is hoping the broader scope of the bill will attract support from the Parti Québécois. Premier François Legault*is said to want to be able to claim the legislation has the support of a majority of the population. Taken together, the popular vote scores of the PQ (17.1 per cent) and the CAQ's*(37.4 per cent) add up to 54 per cent. A federal Liberal MP from Montreal, meanwhile, expressed his opposition to the proposed measures. Anthony Housefather, who chairs the Commons justice committee, shared a photograph on Twitter of a police officer from New Zealand wearing a hijab in solidarity with the victims of the Christchurch*mosque shootings. 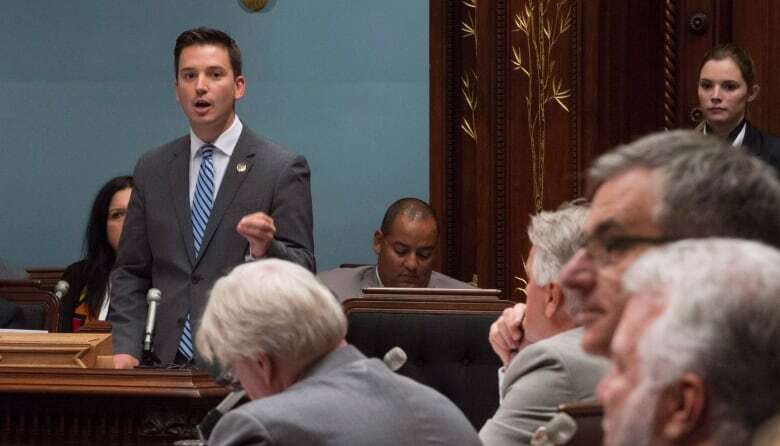 "This respectful gesture of support for the Muslim community would become impossible in Quebec if a ban on state employees holding positions of authority wearing religious symbols is adopted," the MP for Mount Royal tweeted.